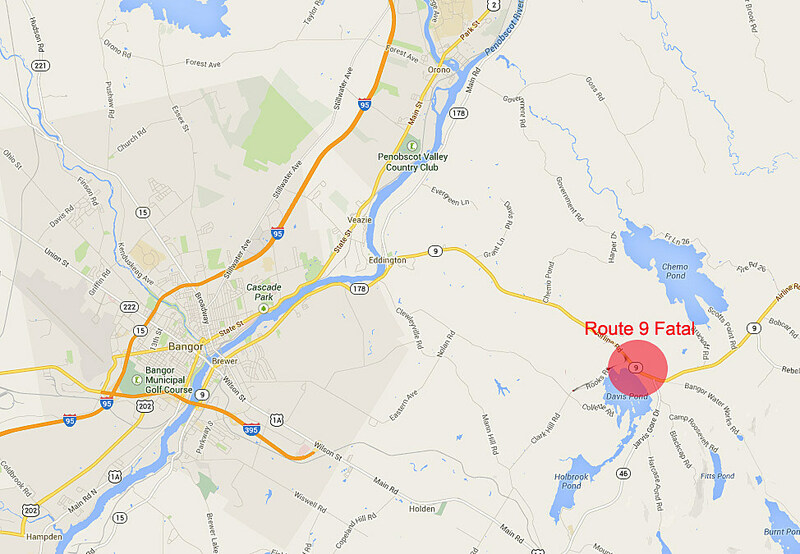 Google Maps [Click to enlarge][/caption]A crash this morning that shut down a portion of Route 9 in Penobscot County has turned fatal. Penobscot County Sheriff Chief Deputy Troy Morton confirmed Monday the two car crash we reported on air this morning claimed one life. Chief Deputy Morton says they're busy making family notification and will release further details later today. The crash happened a little after 6 a.m. near the Rooks Road in Eddington.